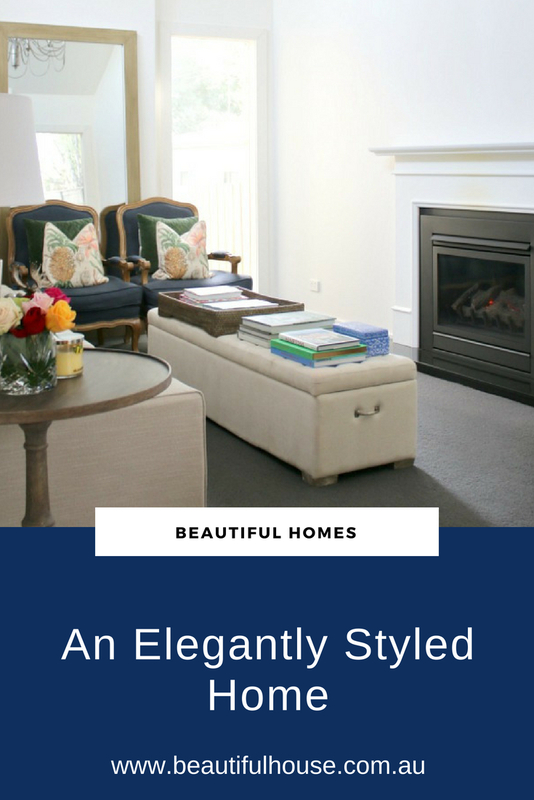 Today I am going to take you on a tour of a beautiful home on the Mornington Peninsula. This stunning home belongs to Toni Nason who lives here with her husband, four daughters and dog Daisy. Come and take a look, I know you will love it as much as I do. Toni Nason, together with Sue Powell are the owners of April and Rose. You can read all about April and Rose on Beautiful House. Their beautiful store in Red Hill is a showcase of blue and white china, candles, cushions, home wares and selected jewellery and clothing pieces. Toni completed a small renovation of their new home with the addition of this beautiful room. The walls are painted in Natural White and I love how the full length window allows in so much natural light. Toni has a flair for decorating and creating a beautiful, relaxed and elegant home for her family. One of Toni’s favourite features in this room is the photo wall, full of family, friends and lovely memories. The side table and green lamp are from Canvas & Sasson and are perfect for this corner vignette with pink Tulips and blue and white ginger jars. The Graphite French armchairs above are from Provincial Home Living. Toni has mixed indigo blues and emerald greens all throughout this beautiful light filled sitting room. Some beautiful fragrant roses sit on this side table with a collection of wares including the candle from Toni’s travels to Italy. Thank you Toni for sharing your home with us. 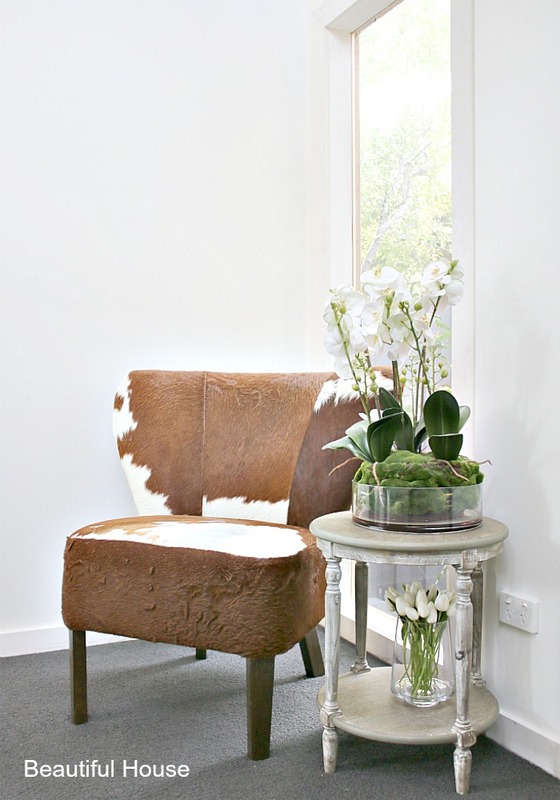 Don’t forget to pop into April and Rose in Red Hill on your next visit down on the Mornington Peninsula.